Puppies of the legendary brutus X-man, world champion. 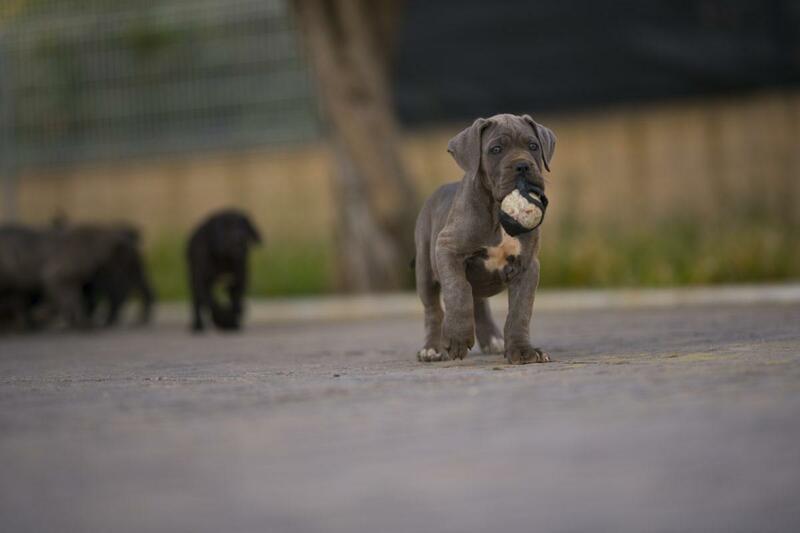 When you start a search for a corso cane puppy, Italian mastiff, from a new member of the family, most of us consider how we wanted to be our corso cane pup and we looked at different criteria. These criteria vary from character, size, consideration of the space of our house ... But we must have other important aspects to consider, such as the genetic morphology of the dog we choose. We always have to make sure that when we choose the place where to buy our italian corso cane pup, the breeder knows perfectly the breed that works and knows how to clarify each of the doubts we have, also make sure that it has an affix, it will always contribute more confidence and more guarantee when you buy the cane corso puppy or italian mastiff. Transparency is paramount, so the breeder you choose does not have to have any problem when showing you the parents of your puppy, because this way you can know the puppy line.